We’d love your help. Let us know what’s wrong with this preview of The Blue Cottage by Grace Geyer. Short story of approximately 8,000 words and is a standalone book from the series. 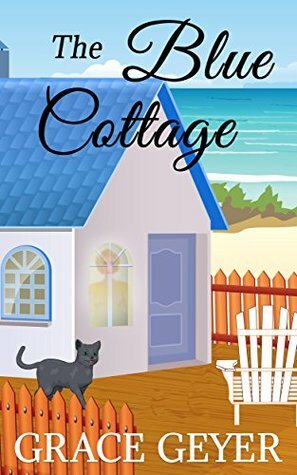 Introducing Miranda Moore, a divorced woman, who moves to a seaside town called Delphin Beach, opens a mystical store, and buys the blue cottage next door to her friend. Something strange is happening though in the blue cottage. Is it something paranormal or just plain wicked? Can the ghost of Short story of approximately 8,000 words and is a standalone book from the series. Something strange is happening though in the blue cottage. Is it something paranormal or just plain wicked? Can the ghost of her mother help her to get to the bottom of this mystery? To ask other readers questions about The Blue Cottage, please sign up. Great short story that combines a bit of suspense with paranormal mysticism. Miranda Moore owns a shop that sells mystical items, but there is a lot more to Miranda than meets the eye. The author does a great job telling a whole interesting story in a short space and that's what makes this short story one worth having. Fun, ghost short story mystery.